Gumkarmo Chiwog of Limbukha Gewog, Punakha has been grappling with drinking water crisis for over two decades now. The shortage is worsening by the year as the chiwog’s population grows. The recent months saw the water crisis deepen. 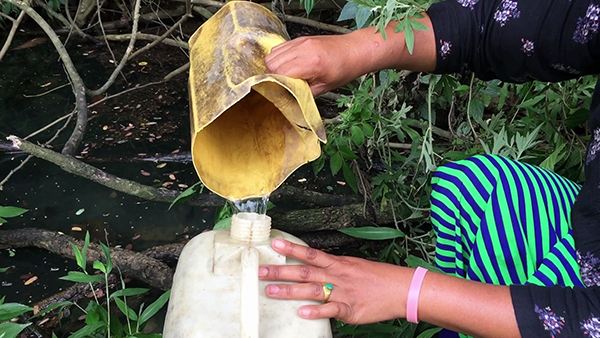 “The water problem has always been there but the last one month has been the worst,” Sonam Choden from the chiwog said. But the pond is small and can provide water for about five households only, while the chiwog is home to more than 65 households. “We have to make it a point to get to the pond first or there won’t be any water left,” Dawa Zam, another villager, said. The chiwog’s water source is located in Shengana Gewog, which is over 18 kilometres away, and gets damaged mostly due to landslides. “The source is not big enough to provide adequate water for every household. A new source has been identified in Limbukha but the works could not start due to lack of budget. But in the 12th Five Year Plan, we have prioritized water supply for the chiwog,” Kinley Wangdi, the Mangmi of Limbukha Gewog, said.